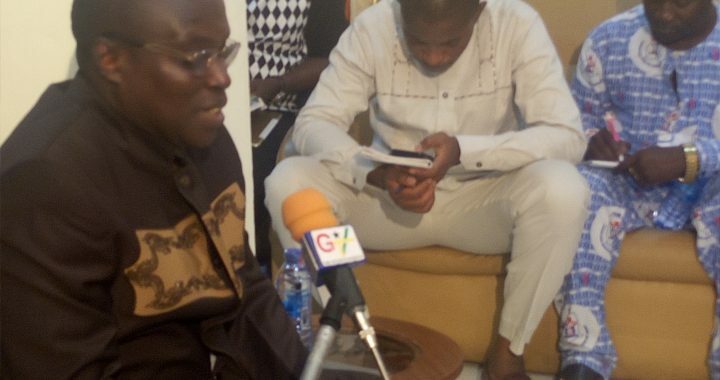 Deputy Minister for Health and a Member of Parliament for Bibiani Anwhiaso Bekwae, Hon. 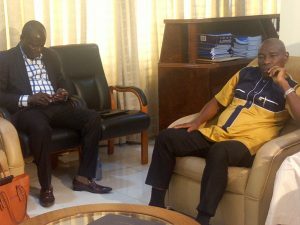 Kingsley Aboagye Gyedu has paid a courtesy on the Eastern Regional Minister as part of his five days regional tour. The purpose of the tour is to ascertain the first hand information on the status of the health facilities that are in the region. He said, the ministry has a plan and in order to fast track the implementation of the plan, we need to know the current position, hence the fact finding tour. The Eastern Regional Minister, Hon. Eric Kwakye Darfour commended the Regional Directorate for the strong collaboration between the Regional Co- ordinating Council and Regional Health Service. Other matters that came for discussion where citing of the proposed Regional Hospital, Health Insurance, etc. Posted in General Documents, General News.